Since 1946, Southern Bleacher has set the standard for high school bleachers, college stadiums, fairgrounds, speedways and more. Fans in every U.S. state and Canada cheer from Southern Bleacher grandstands. With more than three million seats to our name in the past five years alone, no one comes close to our experience. Financially sound with no influence from investors, our customers rest easy knowing we&apos;ll be here for decades to come. 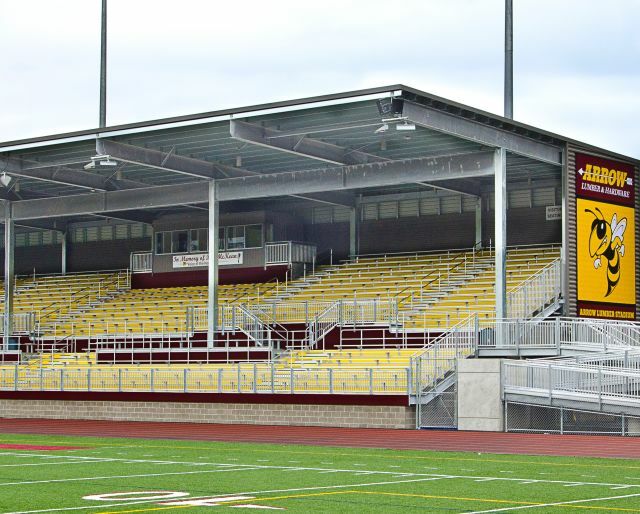 By not outsourcing our aluminum or steel fabrication, we control both quality and schedule, and a veteran project manager is your single point of contact, your advisor and ally, from your complimentary design through your stadium build and beyond.